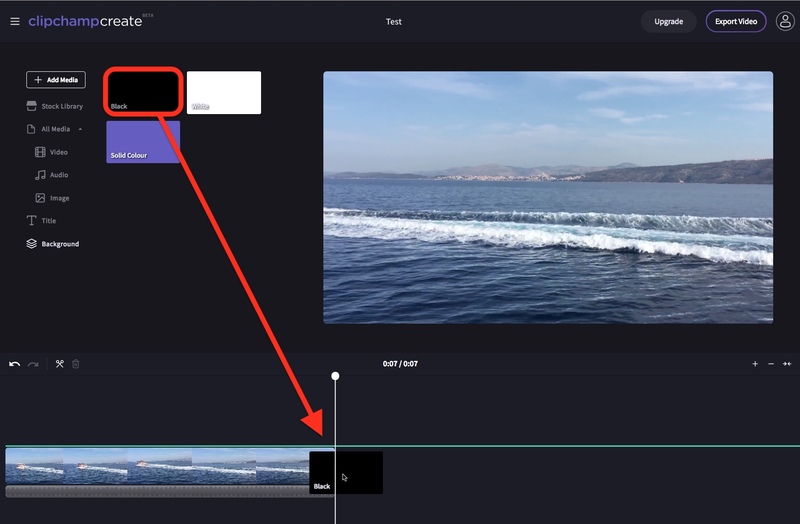 This article shows you how to add a few seconds of black, white or any other colour to the timeline of your Create video project. 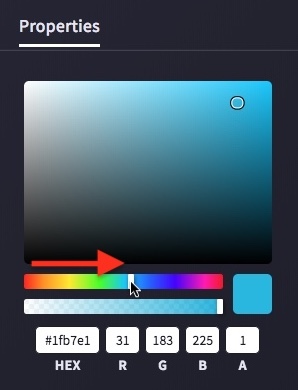 It also shows you how to make a colour clip semi-transparent (slightly see-through) so you can put over videos to change their colour. 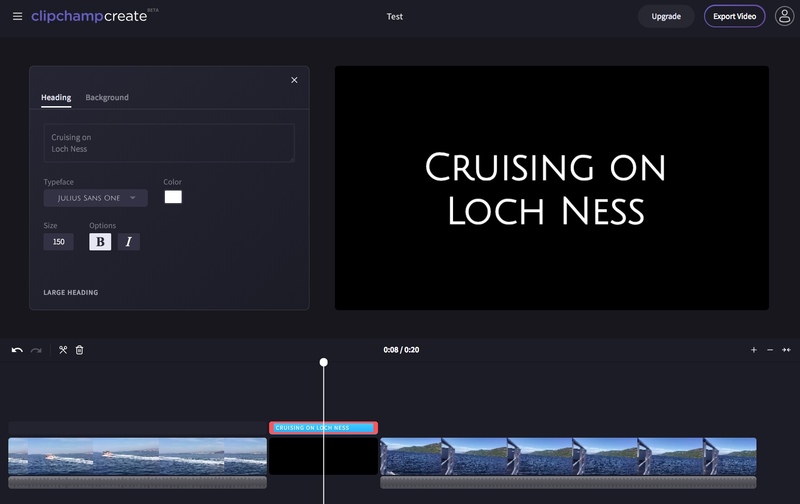 Hold-click and drag the black square from the Background menu into the timeline where you want it to be. 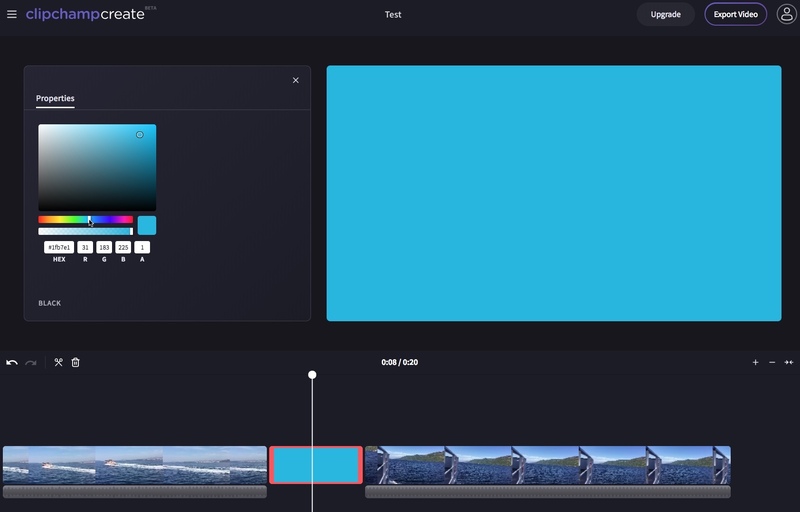 Drag the edges of the black background clip to shorten or lengthen it to your desired duration (see trimming a video for tips on how to do this more accurately). 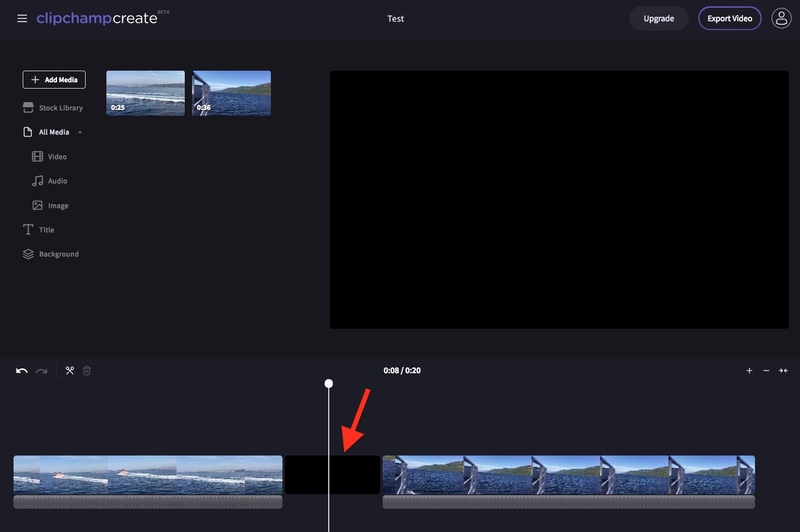 NOTE: You can also split the clip and delete the unwanted second part if that's easier. In the above example, the whole video is now 10 seconds long, and includes about 3 seconds of black at the end. 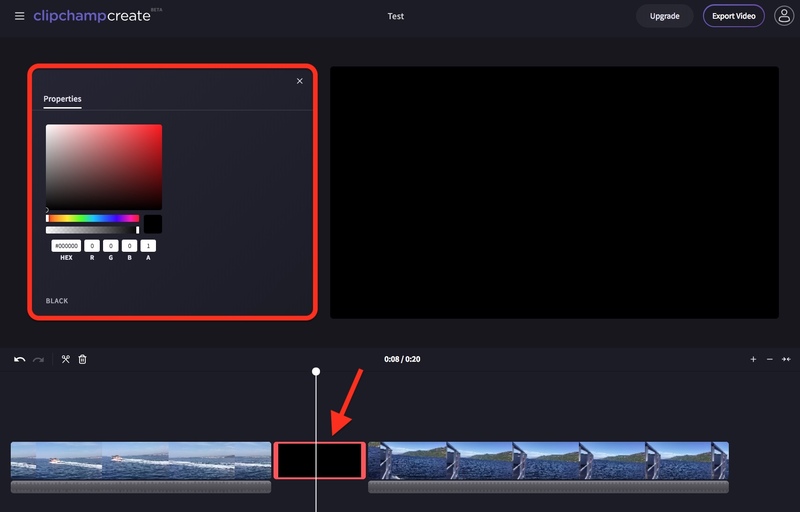 Once you are done editing, you can close the properties menu by clicking the X in the top right corner. 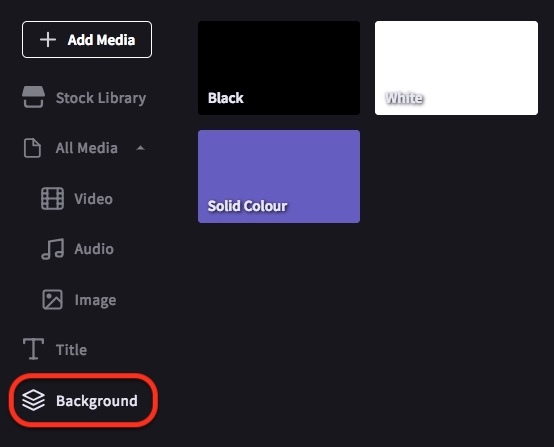 You can also make a background clip partially transparent, and put it over the top of a video like a mask to give it a distinctive colour / hue. 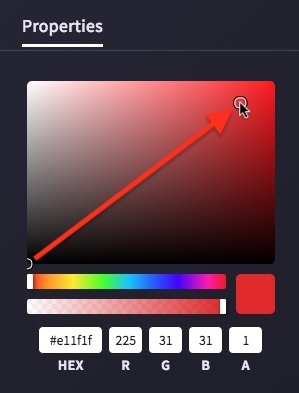 To do this, follow the steps shown above to add a background clip and change its colour. 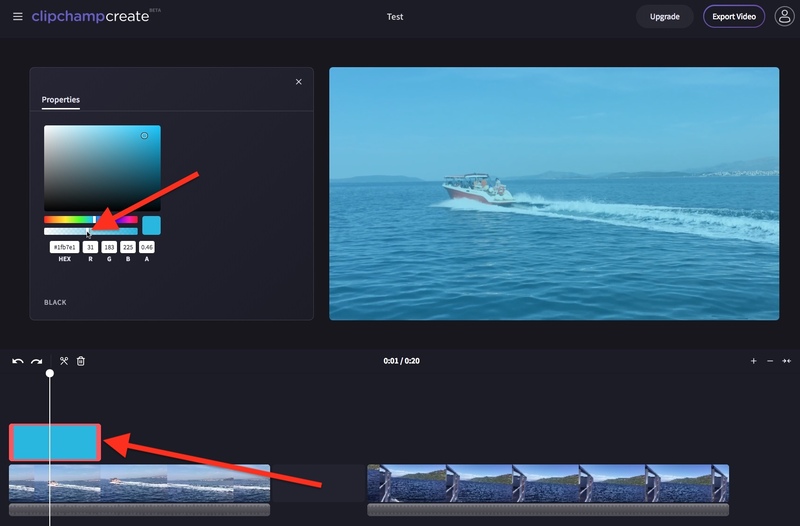 Then drag and drop the clip above your video so it appears in a new track. How do I remove black at the start or end of my video?